Could this be the logo stamped on the back of your next hardware synth? Behringer is known for its wide and varied product range but, at the moment - and despite their booming popularity - this doesn't contain an analogue hardware synthesizer. This situation could be set to change, however, as in an interview with German language site Amazona.de, company founder Uli Behringer has said that a synth bearing his name is in the pipeline. "We have not been idle in recent years, and have invested a lot of time in the analysis of legendary synthesizers from Roland, Korg, Moog, Sequential Circuits, ARP and PPG etc," he explains. "The Curtis and SSM semiconductors used then are virtually no longer available today, and we have therefore spent a lot of time replicating these with modern and high quality VCA and OTAs. And now we have finally succeeded. These circuits will now form the basis for our synthesizer." 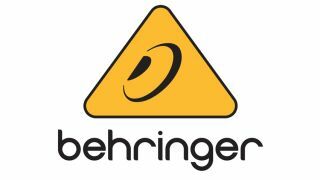 Behringer goes on to say: "We will also focus first on polyphonic sound generation, as the market requires this. Our goal is, as usual, to reward customers with extremely good quality and very good prices for your loyalty to our company. I am of the clear opinion that today's analogue synthesizers are simply too expensive, and that we are trying to change." All of which sounds great, and you may also be happy to hear that the plan is to develop the synth in the UK (in Manchester, to be precise). Don't hold your breath waiting for it, though: you can expect it to be at least a year before a prototype is completed.